It’s that time again, another Freedom Japanese Market Subscription box has arrived! I’ve been blogging about this box for a few months and I’m still obsessed. 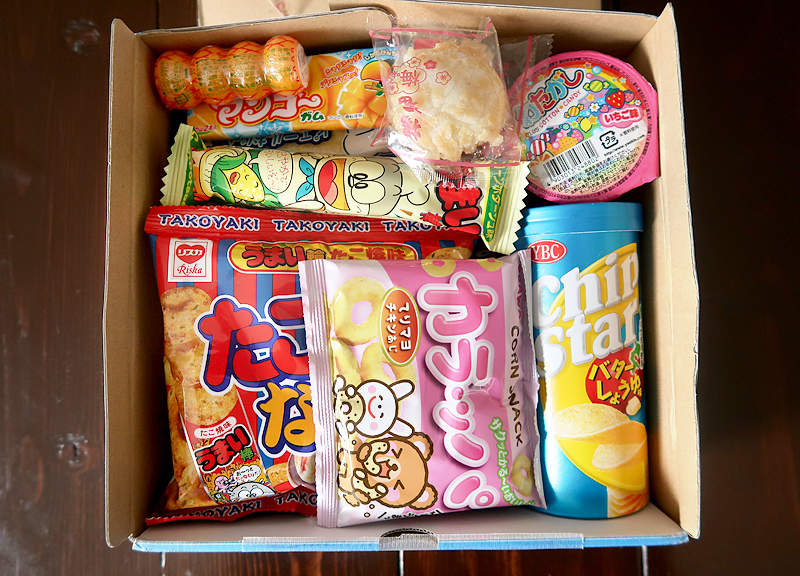 Each box contains a hand-picked selection of unique Japanese candies and snacks. 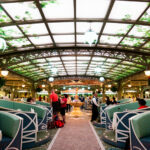 There are some “safe” options like chocolates and salty snacks and then some “challenge” snacks with new flavors that most people may not be familiar with. I love opening up the box and seeing it packed with all of the colorful packaging! My favorite part about this service is that you get so many different snacks in each box. My husband and I get seriously giddy each time a new box arrives and we get to rip it open and see what has shown up. 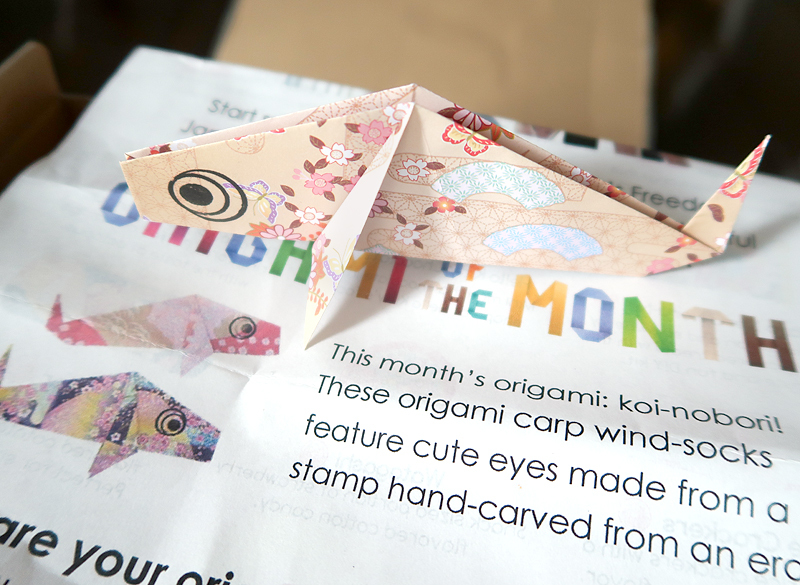 Each box contains an adorable origami on pretty paper, as well as a description about what they are and what they mean. This time I got a carp wind sock! The insert also includes the English names and descriptions for all of the snacks contained in the box, so you have an idea of what you’re getting yourself into before you try each one. 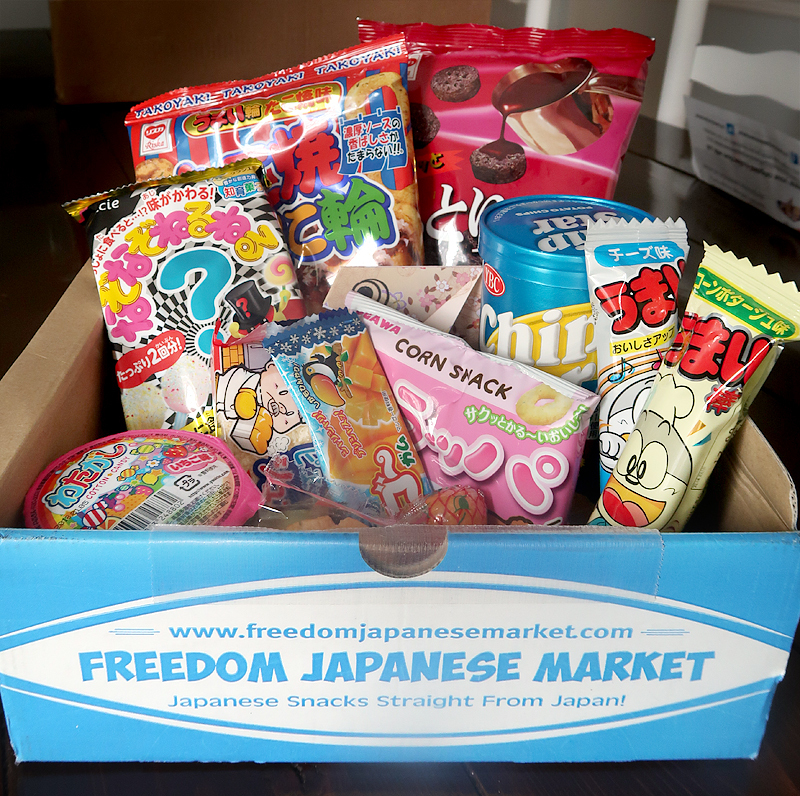 Freedom Japanese Market boxes ship for free worldwide and subscriptions start at $12.99/month. Click here to learn more about the service or give them a try. So far, each Japanese Freedom Market box I’ve received has contained Umaibo, translated to “delicious stick”. 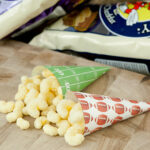 These sticks are made from puffed corn and they come in many different flavors and adorable colorful packaging. This month’s flavors were cheese and corn potage, which is a popular Japanese soup. 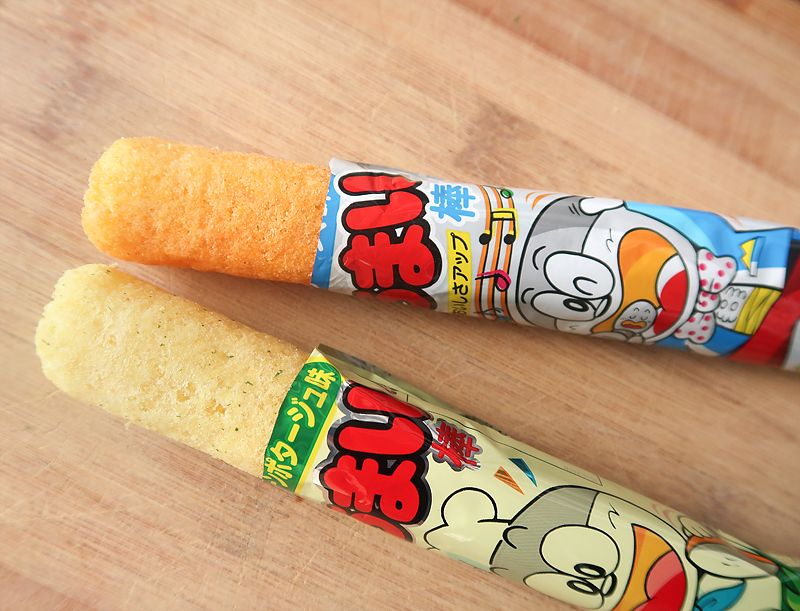 As always, these were really good, but the winner this month was the corn potage flavor… YUM!! These snacks are similar to Umaibo but in different shapes – Takyo-Yaki Nani-Wa. These were octopus-flavored and I also got a subtle taste of soy sauce. 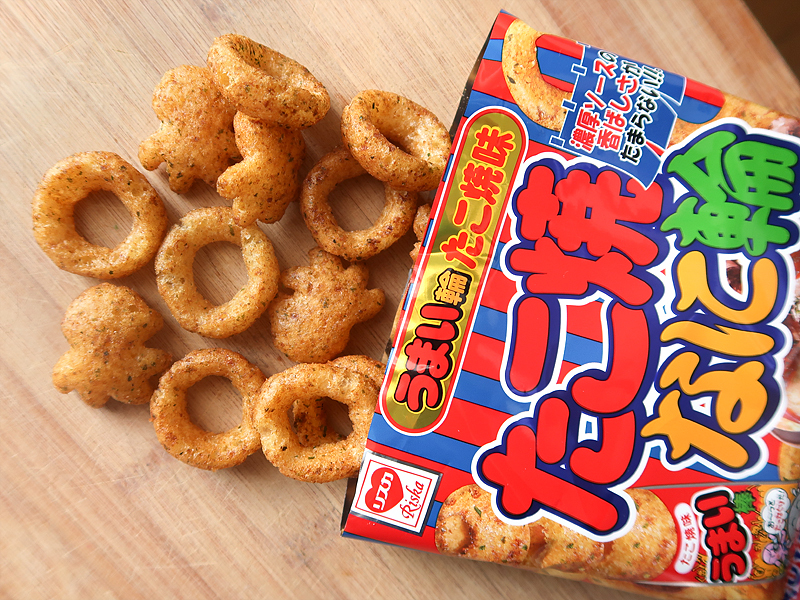 We tried the regular octopus flavored Umaibo in a previous box and really liked them, but these were somehow even better and ended up being our favorite savory snack in the whole box. My toddler was obsessed with them, partly because he liked the flavor and partly because “Pups Save The Octopus” is his current favorite episode of Paw Patrol. More puffed corn snacks, bring ’em on! 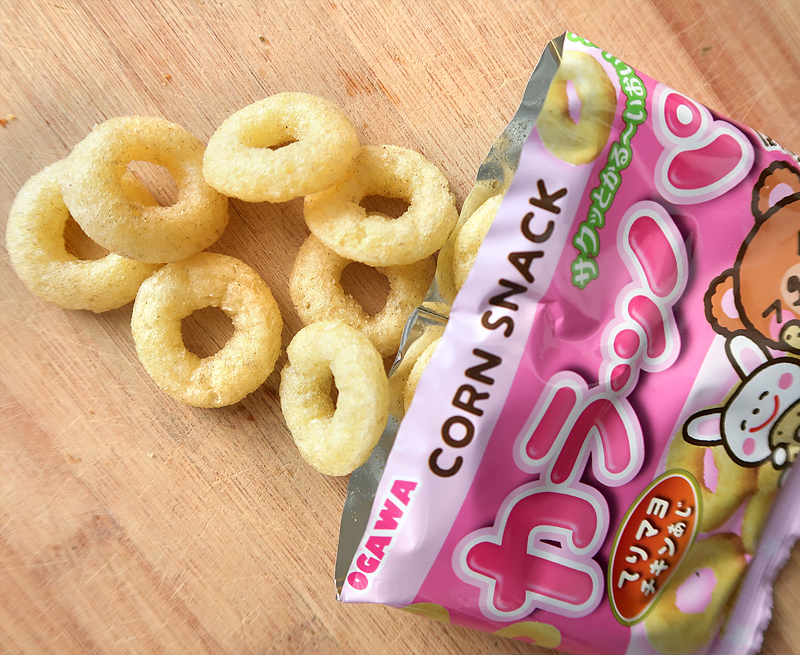 Karappa are corn rings flavored like teriyaki mayo chicken. We found the flavors in these to be extremely subtle, but they were tasty. And look at the cute bunny and bear on the packaging! 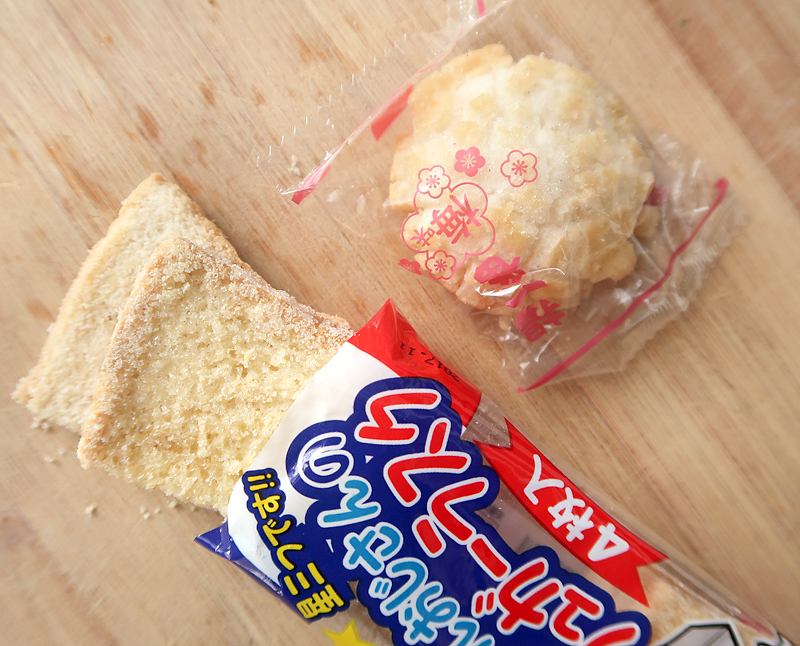 (Top) Next up were some crunchy rice crackers flavored like pickled plum, a flavor that seems to be common in Japanese snacks. I believe we’ve had this same type of rice cracker in a previous box but with a different flavor, and we liked these as well. (Bottom) Pierre’s Sugar Rusks are twice baked bread coated in sugar. The rusks are really crunchy and the sugar wasn’t overpowering – they’d be great with some nut butter, yum! 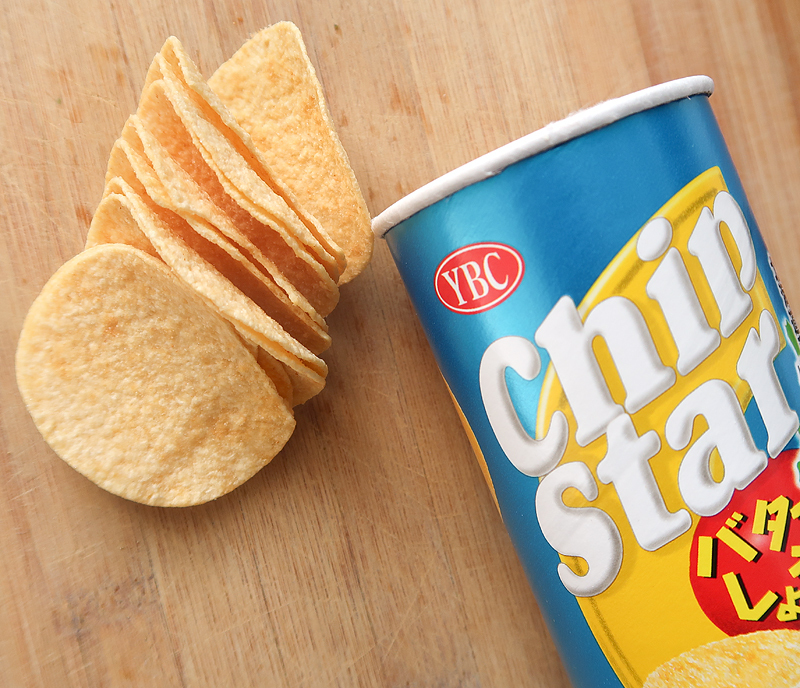 The packaging and shape of these Chip Stars instantly made me think they were some kind of Japanese Pringles, and the texture and crunch isn’t too far off from the popular American chip. The flavor, however, we could have done without. Described as butter and soy sauce flavored, we found the butter to be way too overpowering to eat these chips by themselves. Paired with salsa and other dips and they would have been fine. 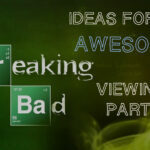 These were fun to try something new and different, but we gotta give ’em a thumbs down. 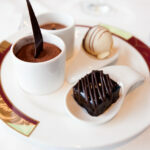 On to the sweets! 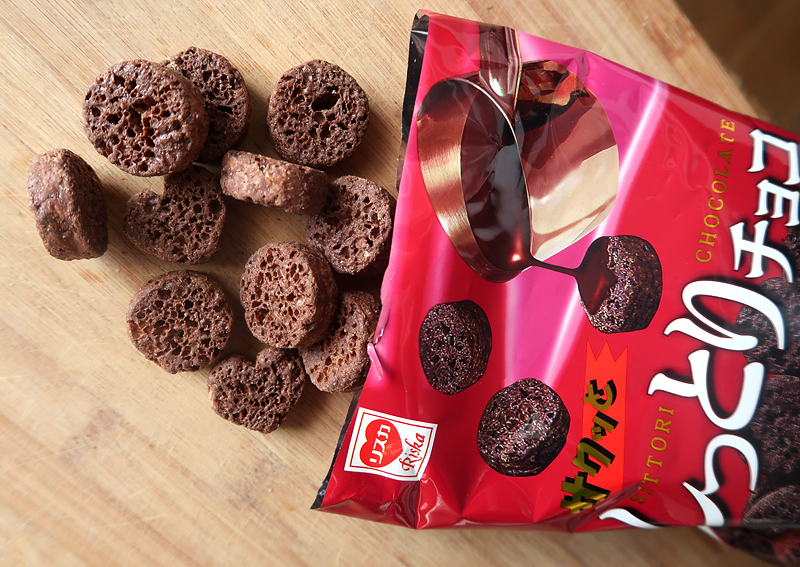 Shittori Choco, despite the questionable-sounding name, are crunchy chocolate cookies with a creamy chocolate center. 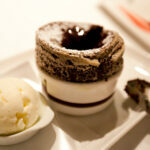 The texture of these chocolate bites reminded me of the melt-in-your-mouth goodness of aerated chocolate. 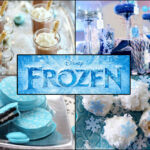 They were delicious and were our favorite of the sweet offerings in this month’s box. So far, each of our boxes have contained an assortment of Japanese candy. This month contained Watagashi, which is an absolutely delicious strawberry cotton candy in a cute single-sized container. There was also matcha flavored Hello Kitty chocolate (we love green tea ANYTHING! 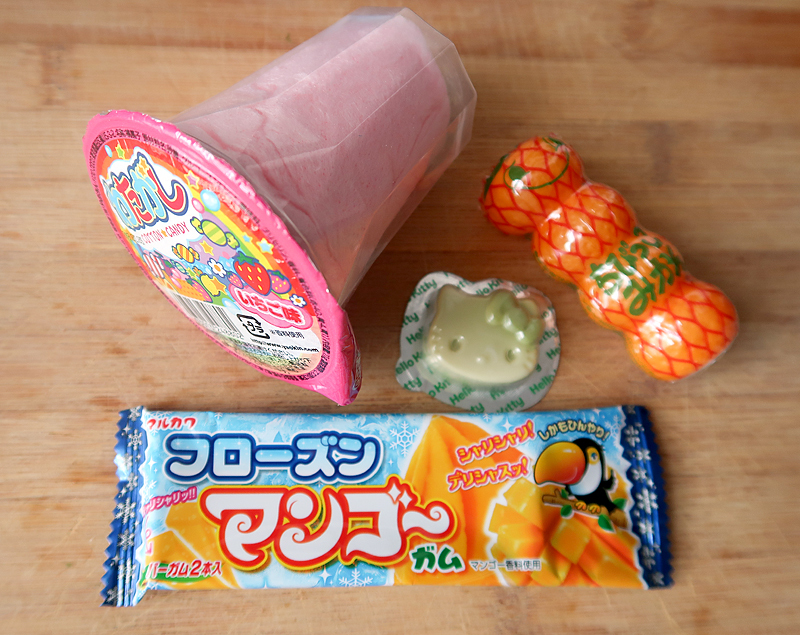 ), Chibikko Mikan (citrus-flavored candies that reminded me of Nerds), and “frozen” mango gum. Lastly was a Nazo Neru-Neru-Ne, or a type of DIY “candy-making” kit. 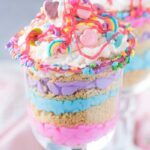 Using the included container, you mix together a bit of water with the powders in the envelope and then decorate them with flavored sprinkles to make candy. We haven’t tried this particular kit yet – I’m keeping it around for when I need to distract my toddler with a different activity – but you can check out one of our previous reviews of this box to see us assembling a similar kit. We are continuing to enjoy these boxes and it’s a fun surprise to see what kind of snacks are going to show up each month! I encourage you to give the box a try if you like trying new and interesting food, or if you just like fun and cute things from Japan! 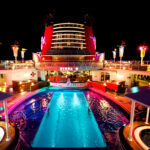 Prices start at $12.99 per month and shipping is free worldwide. You can save money in the long run by subscribing to 3-month, 6-month, or 12-month plans. Freedom Japanese Market Subscription Box Review Freedom Japanese Market Subscription Box Review Freedom Japanese Market Subscription Box Review | March Box Munchpak Unboxing and Review Nomad Coffee Club Review Gramma in a Box Subscription Service Review Gramma in a Box | December Christmas Treats!